The 55+ BC Games is an annual, multi-sport event hosted by a different BC Community each year. Information about asbestos and cancer. The Alzheimer Society of B.C. is the only province-wide non-profit organization dedicated to helping people concerned with or facing dementia have the confidence and skills to maintain quality of life. A site containing information and links to community services available in the Lower Mainland. 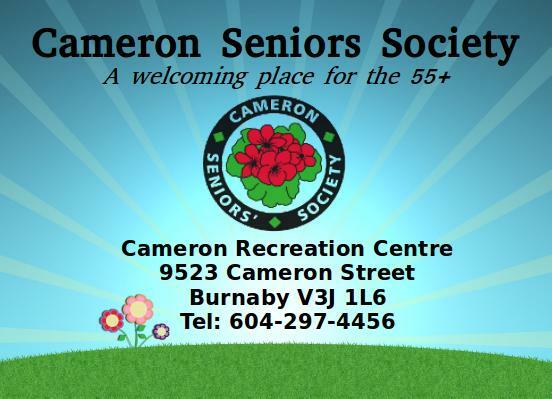 Website of the Bonsor 55+ Society. The seniors centres in the city of Burnaby. Get Cyber Safe is a national public awareness campaign created to educate Canadians about Internet security and the simple steps they can take to protect themselves online. HealthLink BC enables BC residents to find the most current and up-to-date H1N1-related news and information. SeniorsBC.ca is a website that provides information about government programs and services for older adults. Included on the website are sections on healthcare, finances, benefits, housing, transportation and more. Tech-Easy is a volunteer-based community service organisation initiated by teenagers who enjoy helping out seniors and playing around with modern technology. Volunteer Grandparents exists to bring together older people and young families in a variety of ways. Volunteer Burnaby is committed to promoting volunteerism and to providing the residents of Burnaby and New Westminster the opportunity to become involved as volunteers.